Get into the spring of things with our Harvest Festival Event! The city of Hugel is in the midst of their harvest season and nearly ready to celebrate. The lucky leprechaun O’Reiley is in town and things are looking pretty festive. However, with all of the farmhands out harvesting instead of defending the town, the monsters local to hugel’s dungeons and fields have been growing much stronger… During the Hugel Harvest Festival event, we have a fun repeatable St. Patrick’s Day story quest for players level 45 and up, a Spotlight boosting the exp and drops of Hugel monsters and new items in the Kafra Shop! 10 Years ago this March 13, Gravity Interactive officially came to exist while Testing out Ragnarok Online. It has been a wild decade, and we at least want to celebrate with a bonus to VIP players for showing your support all these years! This weekend only beginning Noon Friday, March 8th through March 11th, log on to the WarpPortal page and claim 3 Days of VIP for FREE! Every ROSE account is eligible, (WP and Steam) even if you already have VIP active! 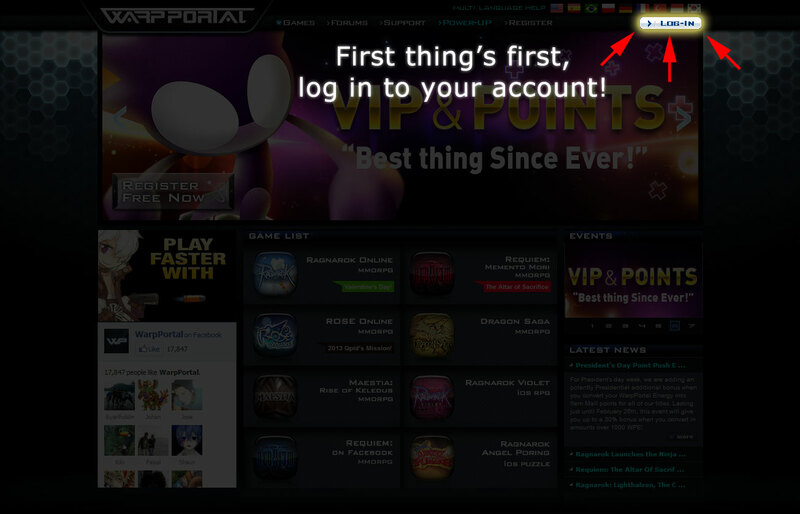 -Steam account users will have their Premium applied to the account beginning midnight March 8th - March 11th without any player intervention, but a guide for how to get VIP or points is below. For President's day week, we are adding an potently Presidential additional bonus when you convert your WarpPortal Energy into Item Mall points for all of our titles. Lasting just until February 26th, this event will give you up to a 30% bonus when you convert in amounts over 1000 WPE! Continuation of VIP + Points! Are you enjoying the holiday bonuses to your favorite WarpPortal games? Holiday Spirit With Ultimate Game Card! Extra Holiday Cheer with WarpPortal and UGC! In the spirit of the winter season, when players redeem Ultimate Game Cards with WarpPortal, players will get an ingame bonus fit for the holiday season until the end of January, 2013! 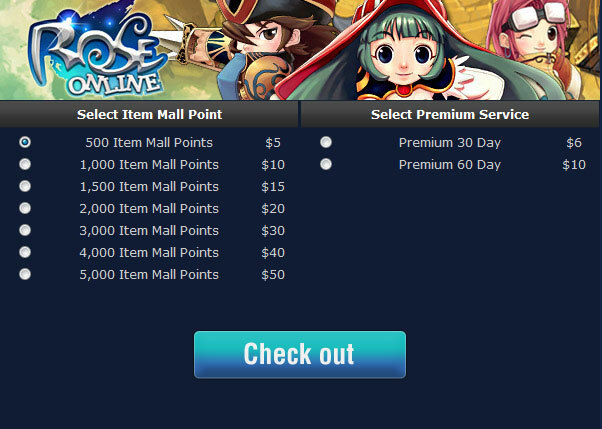 All you have to do is buy Ultimate Game Cards and redeem them during the event period to qualify! 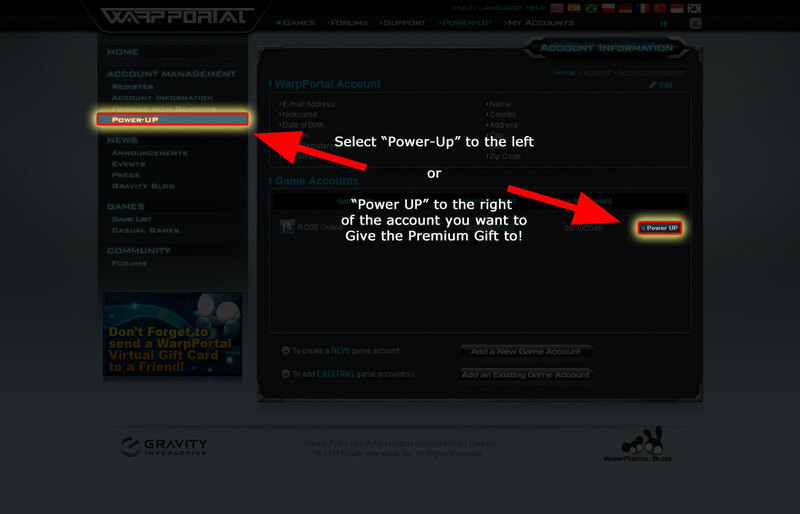 You can view the full list of items and their respective attributes and bonuses at Power Up page. 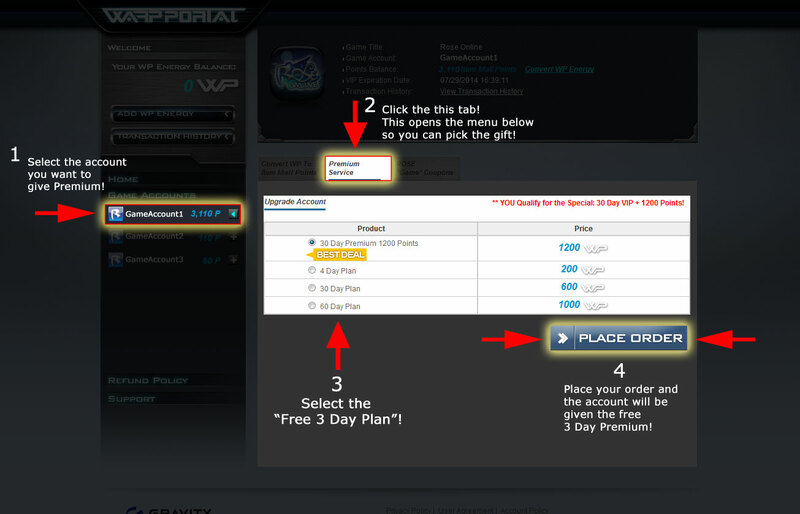 Once redeem your UGC card, and Transfer at least 1000 WP into your Game Account to qualify for an item! A gentle calm settles over Ethergia, as if the center of the Storm is around you granting peace before the tempest. No better time to celebrate than this moment, no one deserves it more than the Temperion forces. A holiday spirit settles throughout the 7 planets of ROSE, and Arua wishes you a joyous celebration. Arua’s Helpers have packed tons of holiday cheer into a Holiday Gift Box exclusively for helpful Visitors. The weather outside may be frightful, but in Rune Midgard things are delightful! 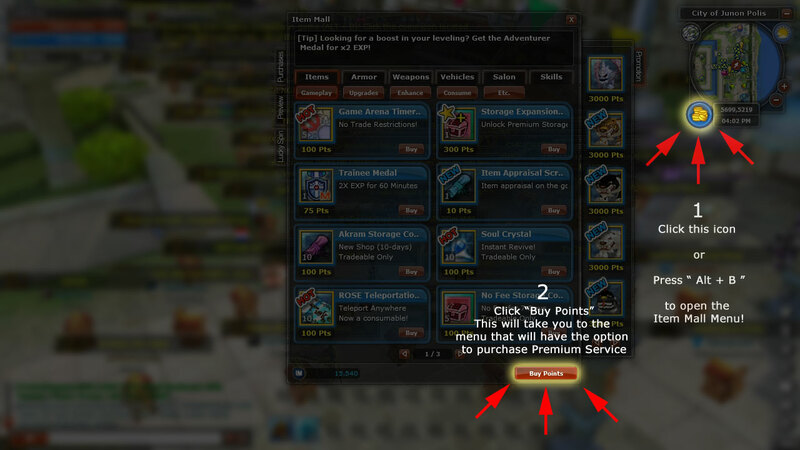 When you redeem an Ultimate Game Card on Ragnarok Online you will be receiving a special gift item! Celebrate with holiday spirit with Ultimate Game Card! Join us in holiday Cheer and get your own pink Santa outfit! A holiday spirit settles over the world. A great and wonderful beast makes an appearance and offers itself as a pal to help Heroes move about the world. The Rudolph Mount will help you move 80% faster than normal walking! ** These gifts will be distributed over three Fridays during the event. ** Each Transfer that qualifies receives another gift. ** Distributed December 21st, January 4th and February 1st into your in-game mail. 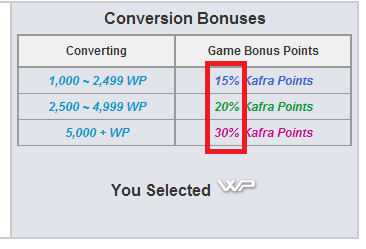 Special: Convert WP and get more Game Points! WarpPortal is having a Point Conversion Event for Thanksgiving! There will be a bonus applied to all games this holiday week. 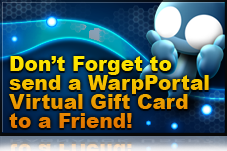 Get an event bigger bonus on your WarpPortal Energy! Beginning Wednesday, November 21st to Tuesday, November 27th! To further your celebration plans each Game Title is having Special Events Too !